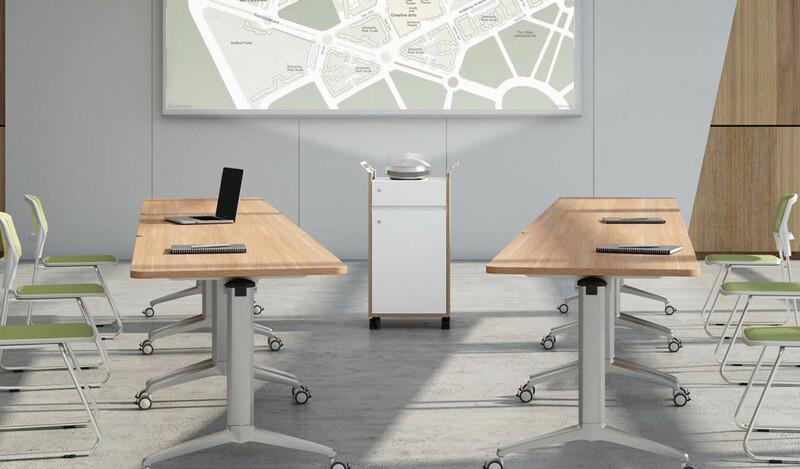 A premium training table with textured oak wood veneer finish. 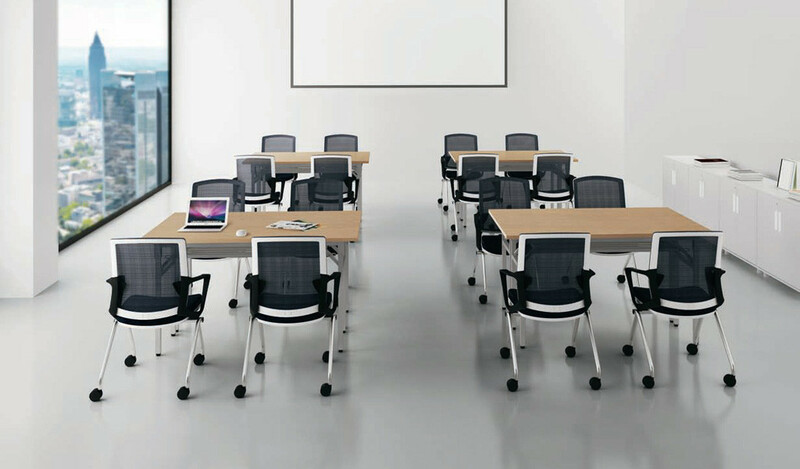 Designed with a contemporary aluminum frame and base this multi-purpose modular table is a perfect choice for corporate training areas and conference halls. 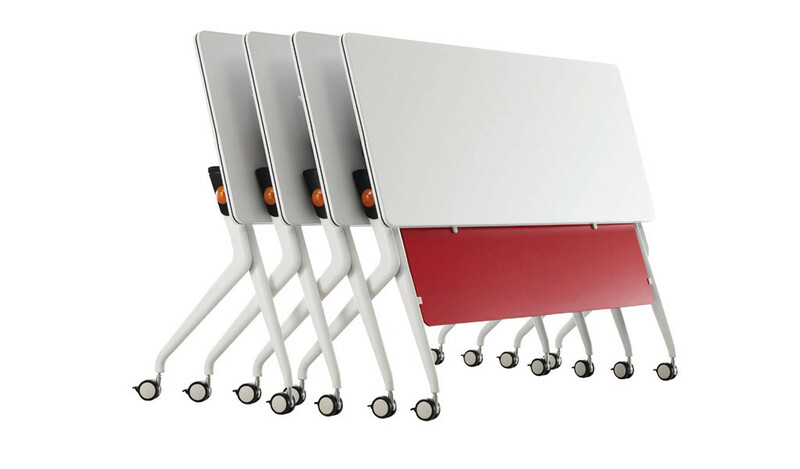 – Available in three sizes this modular table can be used in classrooms, training rooms and conference halls of different sizes. – Natural wood finished desktop with aluminum alloy legs and frame. 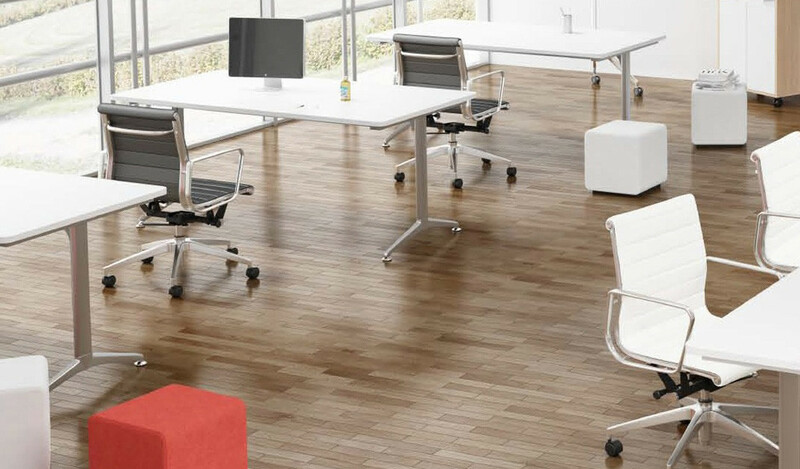 – Made using environment grade engineered wood and dark oak veneer. The E1 rated composite wood is a superb, highly durable material and a world standard for premium furniture while the veneer is from our carefully selected range of premium veneers with consistent color and grain structure. 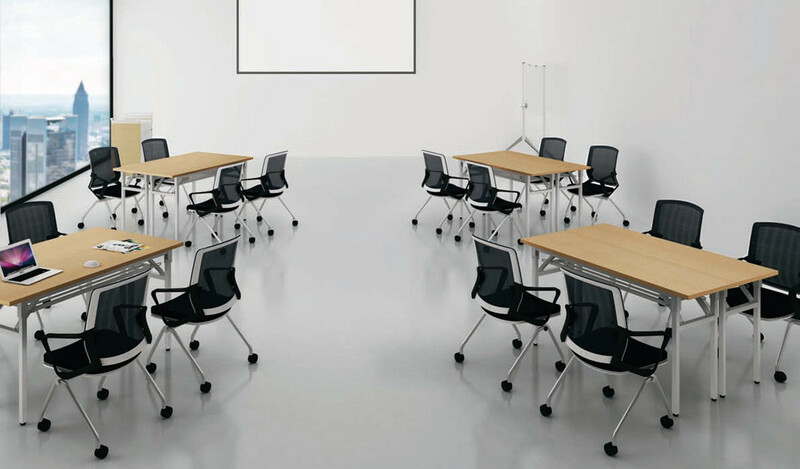 – A premium training room table designed in rich veneer finish with anodized aluminum legs. Made with open grain textured wood veneer, this elegant classroom table is built using E1 grade MDF wood and a solid aluminum frame for lasting durability, natural feel and luxurious looks. 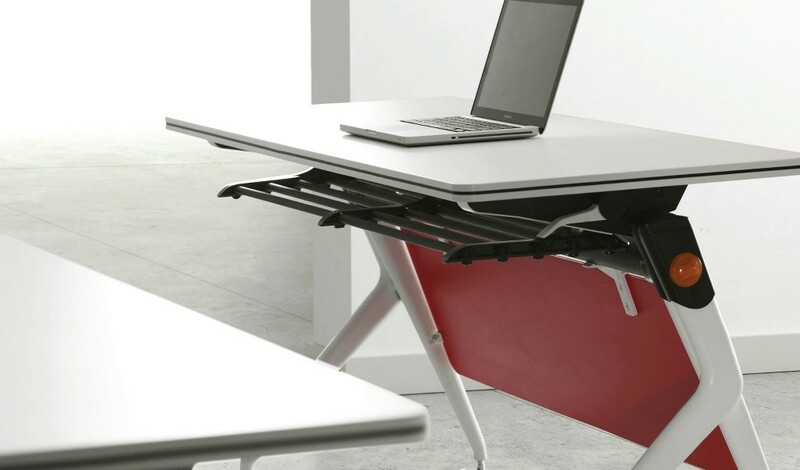 It is part of the Eazy series from which you can choose an entire range of matching office desks, workstations, conference tables etc for different sections of your work place. Go to our catalog section to download the entire catalog.